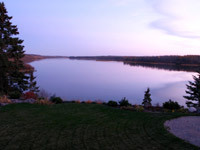 The community of Pine Lake is consisted of a unique mix of residents and visitors who tend to fluctuate between the summer and winter months. This beautifully set lake allows space for many activities for everyone to do at any time of the year. Trails and golf courses are just the few things that the Pine Lake area offers. This unique community is dedicated to working together to keep the lake as natural as possible. The community approach to cleaning up the lake and surrounding area they love is on-going and has noticeable results. Advertise on our web site! If you run a local business and would be interested in advertising on our web site please contact Carol Moen at 780-464-3528. The cost is $100 per year. If you represent a local 'not for profit' organization we would be happy to consider posting information for you on our web site free of charge.